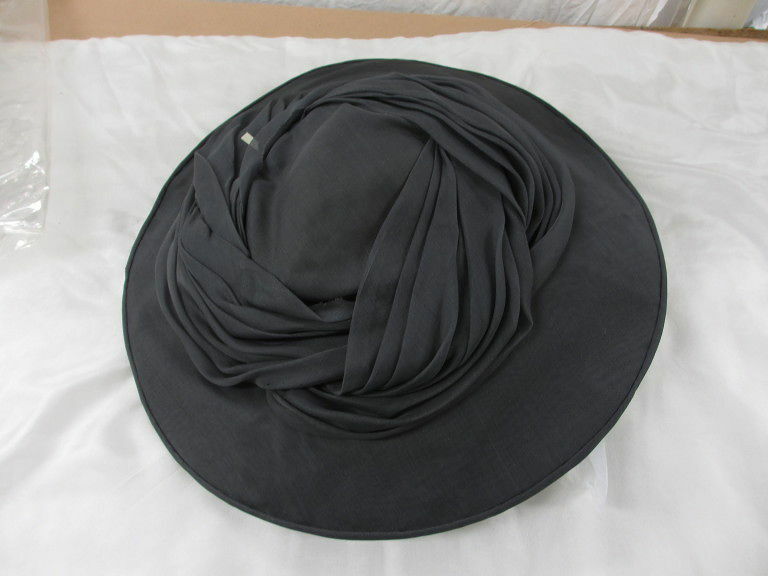 Hat of dark grey organdie. It has a small crown with a wide brim on a net base. The brim curves downwards and has a wide wired brim. The brim and base are swathed with pleated and folded matching fabric, and stitched in place. 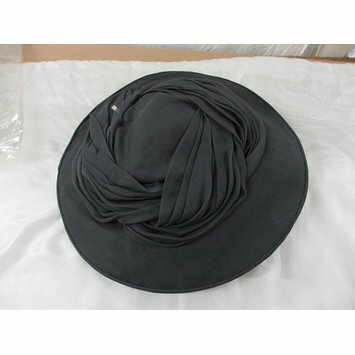 Worn with a steel hat pin approximately 3 inches long with a padded bobble of matching fabric at the end. Lady Trevor-Roper favoured designs by Jacques Fath for her wardrobe, and contributed the vast proportion of the V&A's Fath collection.